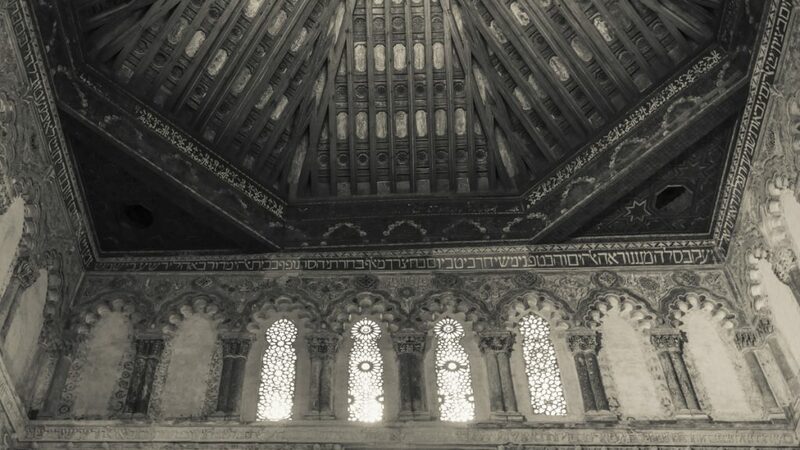 The Synagogue Samuel ha-Levi in Toledo, now known as the Synogogue of El Transito and the Sephardic Museum, was first built in 1356, by Samuel ha-Levi Abulafia, treasurer to the Christian king of Castile and León, Pedro the Cruel. 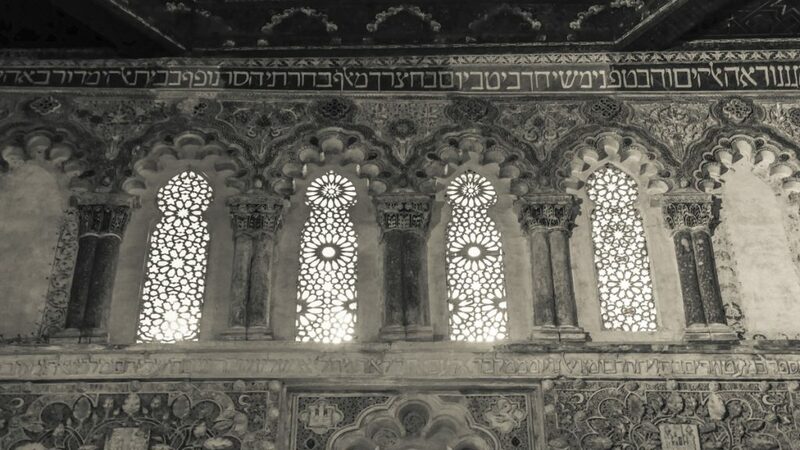 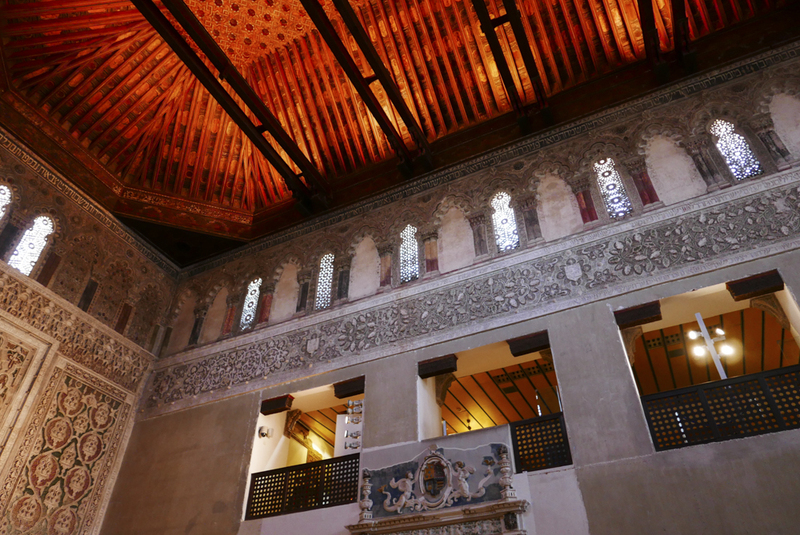 It’s an unusually large building given that it was a private family synagogue, and beautifully decorated in Islamic-style stucco work, similar to the Nasrid palaces of the Alhambra, with Hebrew and Arabic inscriptions, arches, and a Mudéjar wooden ceiling. 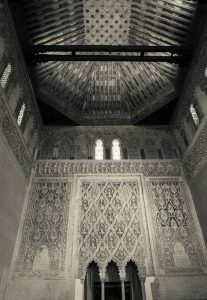 Women were not allowed in the main gallery, but watched ceremonies from the women’s gallery above.